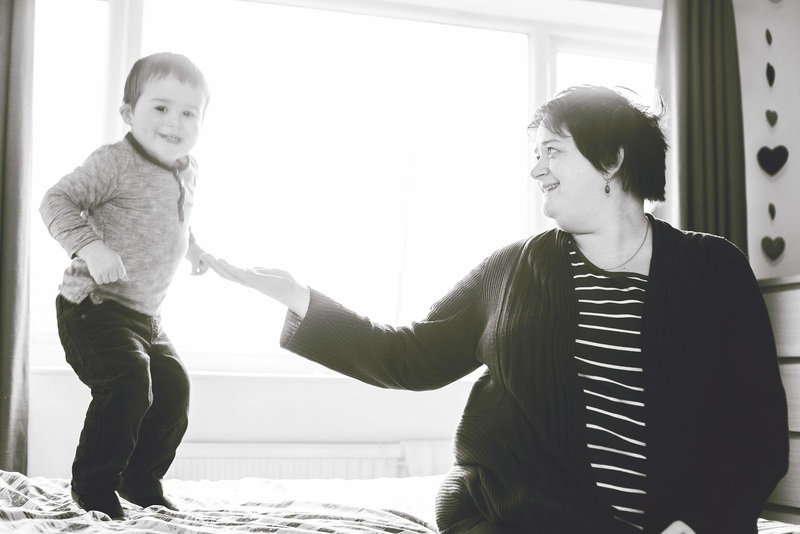 Expectations of motherhood: I was 33 when I got pregnant and we’d been married for 10 years by the time Benjamin was born. We’d lived a life, I’d had a career of sorts and we were ready for a family. I’d never really wanted children, I suppose partly because I suspected I wouldn’t be able to have any and partly because I could never imagine myself holding a baby; my baby in my arms. Then my brother and his wife got pregnant and Matthew my husband suggested we try, so we did and five months later I was pregnant. It was a massive shock to both of us but we were ecstatic. I felt quite rough during the first trimester. No sickness but just a dreadful exhaustion. I’d go to work then come home and go straight to bed. I had a grim sense of foreboding about what was to come and was very protective of the growing life inside me. 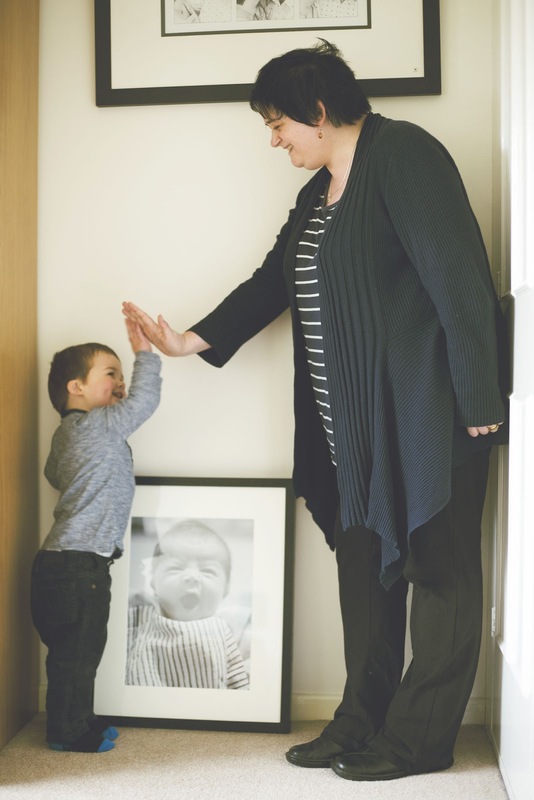 When I was 16 weeks some routine blood tests came back which showed I had a genetic blood disorder, we were sent for further tests and genetic counselling and told that there was a one in four chance of the baby dying at birth. I knew then that the rest of the pregnancy would be a battle. By this time I’d started to attend pregnancy yoga classes which were fantastic at calming me down – looking back I was tremendously anxious about the health of my baby. I was monitored very closely by the hospital which was in some ways comforting, but it did nothing to reduce my stress levels. I read all the NICE guidelines on my condition and took great joy in annoying the Doctors by quoting these guidelines to them when they tried to push me to do things (that were beyond the scope of the guidelines). The Doctors would say terrifying things about the high risk of Benjamin dying, but in hindsight I suspect they were said just to get me to toe the line. I was firm that I knew what was best for us both and I was right. I eventually agreed to be induced at 38 weeks. I’d been incredibly private and protective of my pregnancy and not even my family knew the full extent of the problems I was dealing with or that I was going into hospital. I didn’t need the stress of them all fretting and pacing hospital corridors. I was induced on the Wednesday morning, the midwives said they’d probably need a few goes at getting it going but true to form I proved them wrong. On the Wednesday night I stood up and my waters broke. I was on a busy but excellent antenatal ward, but lucky enough to have my own room. The midwives on duty were brilliant and monitored me closely. The delivery unit was full to bursting so they kept me there until 10am on Thursday with gas and air to keep me company. Matthew arrived just as they were transferring me, he was pale and terrified. The next 24 hours are (thankfully) something of a blur. I was closely monitored and not allowed to get off the bed to move around which made the pain harder to deal with. I managed on gas and air until about 4pm and I asked for pethadine. At around 7pm I relented and asked for an epidural. The next four hours were a special form of hell. During that time four anaesthetists tried to get the needle in, my vertebrae are close together and there wasn’t much room for the needle. I spent four hours in real agony while they poked at my spine with needles and at around 11.30pm they finally got it in and I could rest. By this time I knew something wasn’t right but no one would listen to me. At around 4am Friday I was fully dilated and was asked to push, this seemed to go on for hours and at times there were five or six worried faces at the bottom of the bed. His heart rate and mine kept dropping and they kept doing blood tests and looking concerned. Sometime around 7.30am they suggested we go to theatre and try forceps. So they wheeled us off. Forceps were tried but he just got firmly wedged, it turned out he was back to back and probably never would have come out naturally. Why they didn’t know this I’ll never know. I was prepped for a Caesarian section, by this point I would have agreed to anything just to get him out safely. He was pushed back up the birth canal and removed via the sunroof (and not the cat flap). It’s a strange and unnatural feeling having a baby pushed back up having spend hours pushing him down. He was born at 9.15am, 8lbs 15oz of gorgeousness. He was silent but, “It’s a boy!” went around the theatre and Matthew and I turned to each other and said, “We’ve got a Benjamin”. We didn’t know what we were having but were delighted with what we’ve got. It took him a few minutes to pipe up but it was a lethargic cry. Matthew cut the cord and he was brought over to be admired. I loved him instantly but it felt like part of a really strange dream. Reality of motherhood: On arrival Benjamin was beautiful and just wanted to be cuddled, he was lethargic and didn’t really want to feed. He wasn’t interested in the breast, there was no milk to be had and the midwives were too busy to help, so he ended up being bottle fed. 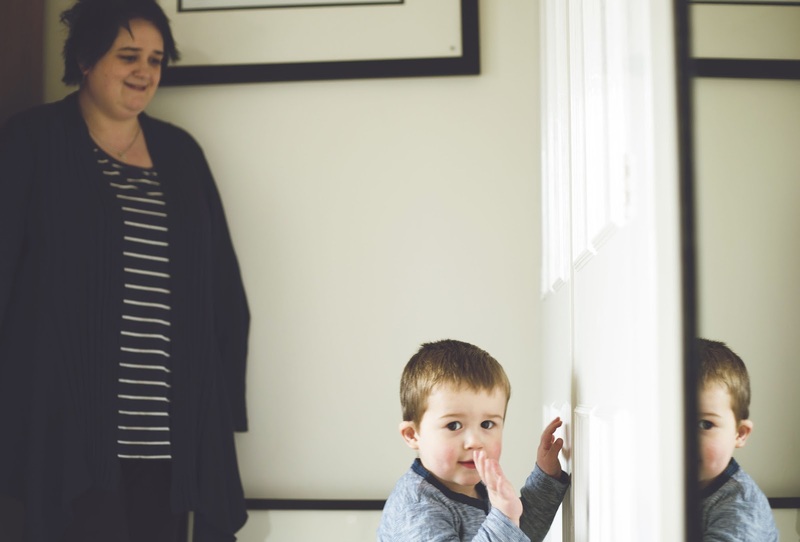 He was being closely monitored by the paediatric team who discovered what they thought might be the signs of a worrying and rare hormone imbalance, they insisted we stay in until a full diagnosis could be made. 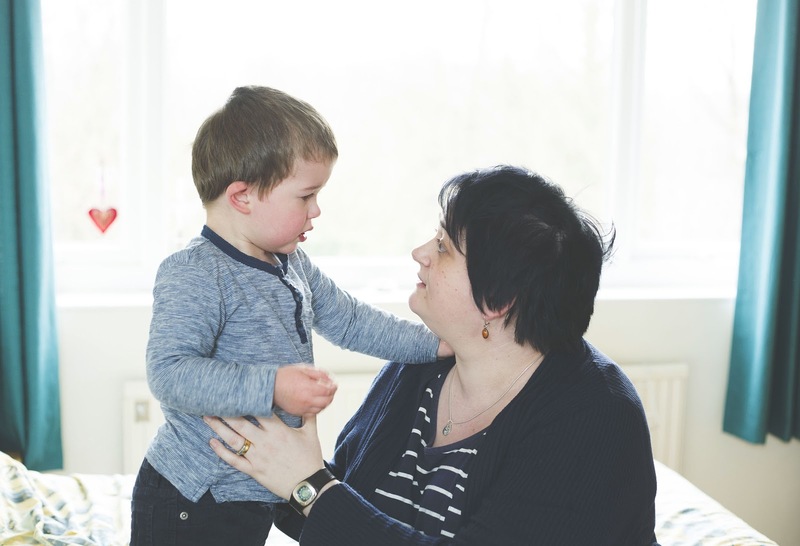 I was moved from a busy ward to a side room and we fell into a routine of daily tests and consultations on Benjamin’s health. I was almost at breaking point. Until they knew what was wrong with him he was subjected to oral doses of saline solution which made him throw up and made his symptoms appear worse to the medical staff. The worst moment was a stress test which was so traumatic neither Matthew nor I can speak of it without crying. I would physically fight anyone who wanted to do that to my child again. After a week of tests and trauma we were allowed home. He was clear of any health problems and there was no need to worry. We were incredibly relieved but angry at what we’d all been put through. Taking your child home for the first time: I think all parents have the same experience. You bundle your baby up in their car seat and drive home at 4mph, that was about the same for us. 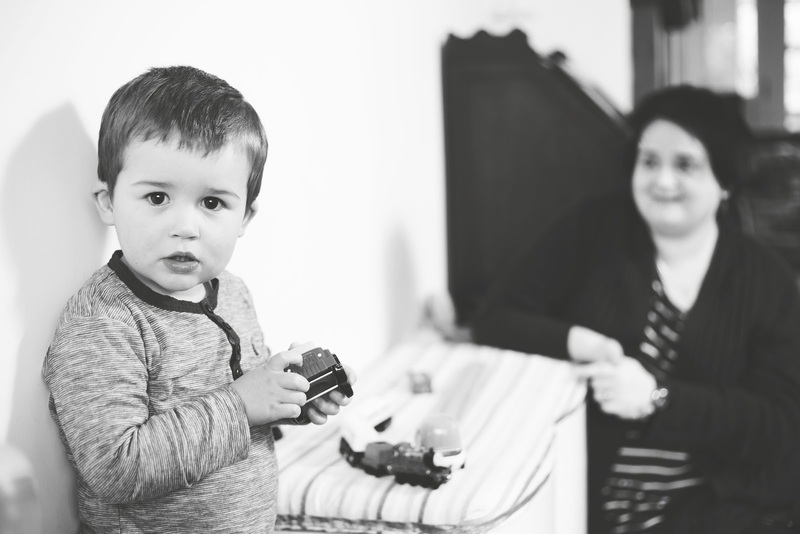 I think for Matthew and I we’d spent a week thinking Benjamin was gravely ill and he’d been through enough in his first seven days, so we were perhaps more protective of him than we needed to be. But once declared fit we were almost bundled off the ward, so at 7pm in a cold November evening we went home at 4mph. I was exhausted and Matthew had only really seen him during visiting hours so he took over. Benjamin settled in and we settled into a routine. I did days, Matthew did nights. I say routine but he fed on demand, which turned out to be about every three hours and things just fit in around that. Benjamin was always really laid back. He slept through at 6 weeks and he’d sleep for 12 hours a night. The trade off was he’d only cat nap for 10 minutes a day which was tiring. He was jolly and smiley and loved to cuddle. We adored him. We’ve always followed his lead, he seems to indicate when he’s ready for the next step, like stopping the bottle and having a sippy cup or moving to his own room. I think us not forcing him to conform to expected ideas in terms of development has made him more relaxed. Why force a child who isn’t ready to do something just because a book or a health visitor says so. It’s worked for us and he’s happier for it. 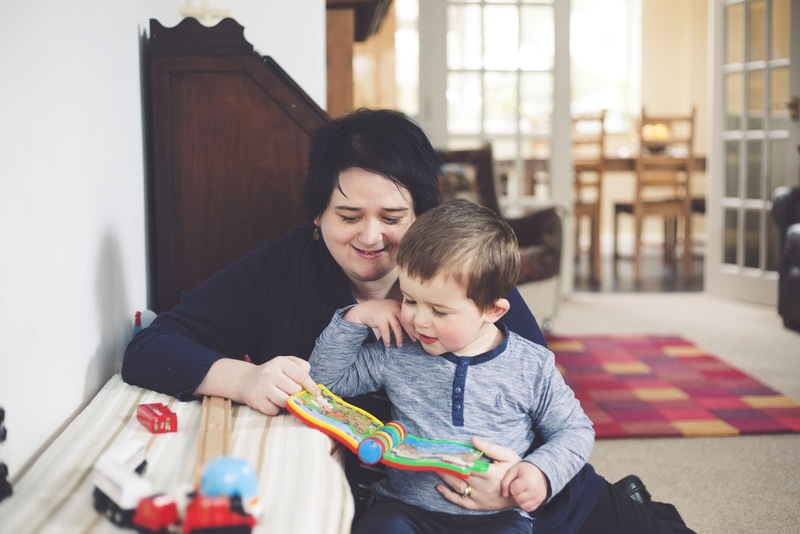 Due to the stress during pregnancy, the traumatic birth and his first stressful week I was eventually diagnosed with PTSD. Looking back I certainly spent his first 18 months in a high state of anxiety and had frequent flashbacks to some of the more distressing moments. I don’t think he was affected by it but I was definitely more protective of him around others, especially medical people. The best/worst advice: The worst advice I was given was “sleep when your baby sleeps”. Who does that? In over two years I’ve maybe managed it 3 times if I’ve been ill and it’s really only in the past year or so he’s napped during the day. If your baby goes to sleep then it’s a quick tidy, clean, cook something, grab a shower, have a drink, eat something. It’s never put your feet up and nod off. If you do manage it then well done but I’ve not met a mum yet that did. The best advice was “try baby led weaning”. One of the first things we did when I was pregnant was buy a food processor for mushing everything up, but really who has the time? My sister in law suggested we try it, what a revelation. If your child is snatching real food off your plate and eating it why are you mashing food for him? All we did was stop salting food and cut down on the spice a bit. I think we probably did eat more pasta with pesto that first year, but that stuff is like cat nip for kids. He’s a really unfussy eater these days and will try anything. He loves fish and his favourite is smoked trout pâté. Why limit your childs’ palate to fish fingers, such a shame when there are such culinary delights to be had. The hardest part of being a mother: No one tells you that you’ll be ill all the time. When I went back to work and he went to nursery I was solidly ill for about 5 months because he’d just rub his germs on me. I was exhausted and struggling cope with undiagnosed PTSD. I’ve had a bit of a catalogue of misfortune since he arrived, which culminated in spinal surgery in February (long story short, I had an accident in November 2012 which left me at risk of paralysis). Matthew has been outstanding and looked after us both. He’s an amazing man and it hasn’t been easy or him. I think in Benjamin’s little life it’s been most hard for me to watch him grow and change while I’ve been stuck on the sofa in a codeine haze. I miss running round the park with him, picking him up and swinging him round, bathing him and putting him to bed. I miss being the proper hands on mum I once was. I hope that he’s too young to remember this time and that I won’t always be like this. Motherhood is a joy. Benjamin is an amazing little chap. He’s bright, charming, sensitive and so loving and caring. The best thing is he’s so bloody funny. He’s got a really great sense of humour which I think will be an asset to him. I love spending time with him. He’s independent enough to be able to entertain himself for hours but we love doing jigsaws, playing with his train sets, reading book after book, after book. Obviously I wish I could do more with him but it is what it is. I love it when it’s just the two of us and we snuggle under a blanket and watch In the Night Garden together and read. He loves Hairy Maclary and laughs his socks off when I make all the dog and cat noises. I’m really uninhibited when I’m with him which I love as I’m not as confident as I used to be. I am really enjoying him at the moment, he’s a real character and he’s made giant leaps with this speech recently. I love chatting away to him about the world and what he can see in it. His love for choo-choo trains, cars and doggies. I love how he lists his favourite people and counts as he goes up the stairs. Each day is a new discovery and an exciting lesson in the world around him. Honestly, there is no feeling more wonderful to me than being given an enormous cuddle and a snotty kiss by Benjamin. Hopes for your family: For Benjamin, I hope he grows up to be his own man, not to run with the pack but to stand firm in his own convictions. I want him to be happy in whatever he does. If he carries on being funny, kind and considerate then I’ll be pleased with that. I’d love him to have great taste in music, early indications are good with early preferences for The Wonder Stuff and The Charlatans. I played lots of Faith No More and Rage Against the Machine when I was pregnant and he likes to dance to them too, though we are more selective with the swearier songs. Matthew takes him to toddler football and I suspect he harbours dreams of him holding the FA Cup aloft in glorious triumph. My hopes for me and Matthew are that we come out of this run of my bad luck soon and that I can return to a more normal life. Its been bloody hard work for him and stressful too. He’s a brilliant husband and father. I know how lucky we are to have him. Long term I don’t know what I hope for, I’m currently off sick from my job in the NHS. I don’t know when I’ll be fit to return to work, if ever. Large parts of my life are effectively on hold. We did want to have another baby but we think that is probably not possible now which is a shame. We are so lucky to have Benjamin, he is a blessing and worth every minute of pain and anxiety we went through to get him. Every time I think of Benjamin my heart fills so completely with love for him, it’s an amazing feeling. I hope one day he’ll have a baby and realise just how much we adore him. I hope that life doesn’t stamp all over him and his dreams. Advice for new and expectant mothers: Firstly get yourself to pregnancy yoga, it was brilliant at keeping me calm during the birth and I still use some techniques now if I need to calm things down a bit. Look after your back. You only get one spine, mine is effectively ruined now. Be kind to your body. 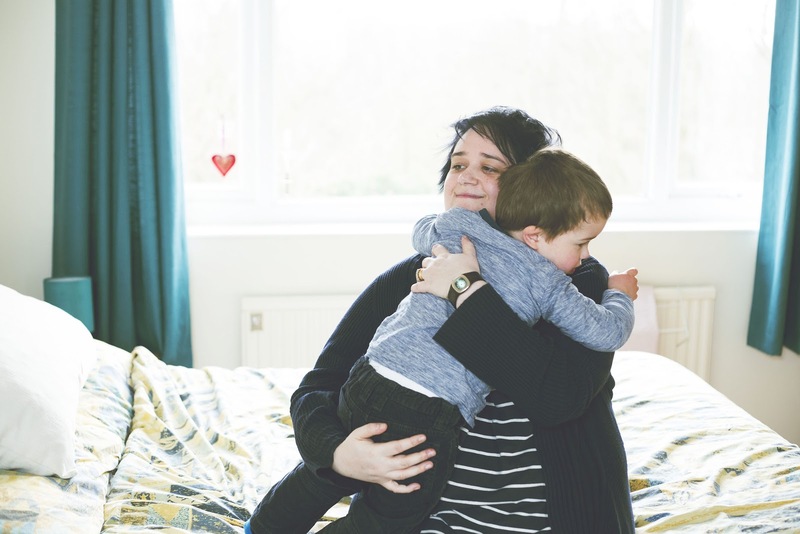 Other mums can be awful, so find ones you actually like. I went to an awful, cliquey playgroup for six horrible months because I thought I should. They went out of their way to make me feel excluded, I found another play group who are wonderful. Shop around and find groups you like. Do it your own way, you know yourself and your child best, don’t bow to pressure from other people if you think it’s the wrong thing to do. We’ve tried to be true to ourselves and be pretty laid back parents, encouraging in all the right places, cracking down on anything dodgy like not sharing, throwing his food, biting etc. We said from the moment he started walking that someone wouldn’t always be there to pick him up later in in life, so now if he falls he picks himself up, if he hurts himself then we will be there for him. For a time it was hard to watch him fall and we had to sit on our hands, but stoic little chap that he is, most of the time he picks himself up, dusts himself down and he’s off running. Lots of people tell us “look, he’s fallen down” thinking we’ve not seen it, but we have. They probably think we’re terrible but he’s not hurt, he’s fine. He knows how to solve his problems and that we’ll be there if he gets stuck. Isn’t that what every parent wants for their child.